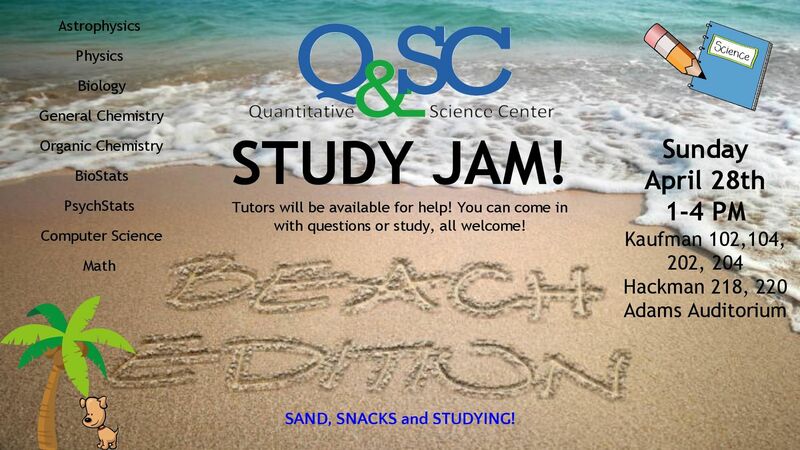 The Quantitative & Science Center is the hub of science and quantitative tutoring at F&M. Located in Martin Library, Q&SC offers tutoring for selected math, biology, chemistry, physics, economics, BOS, computer science, and stat classes. The College established the Q&SC in 2014 to help F&M students build problem solving and quantitative skills through peer-to-peer help. With a team of nearly 50 peer tutors, the Q&SC provides many opportunities for students seeking additional resources to help master course content and enhance study skills. Students can access the Q&SC Schedule from their Academics page on Inside F&M. The Q&SC Scheduler shows which courses are supported with tutoring and is a handy way to check the schedule and location of Drop-in and QuEST Sessions, as well as make a weekly tutoring or consultation appointment. Strong study skills are key components to student success. Our tutors are trained to help students analyze and assess their current practices and can suggest ways to improve and recommend new techniques to try. Here we provide some general information and resources on study skills. Basic quantitative skills, i.e. mathematical concepts and reasoning skills, are needed to succeed in F&M’s intro science, econ, math and computer science courses. Here we provide some self-help resources for several topics that students commonly find challenging. Have any questions, issues, or feedback about Q&SC tutoring? If you have a question or information you would like to share with us regarding any of the Q&SC tutoring programs, please submit it here. You may remain anonymous, however, if you would like a reply on your issue or question, please provide your name. Be as detailed as possible so that we may address the issue to the best of our ability. Read the story in the Spring 2019 Edition of College Grants News.